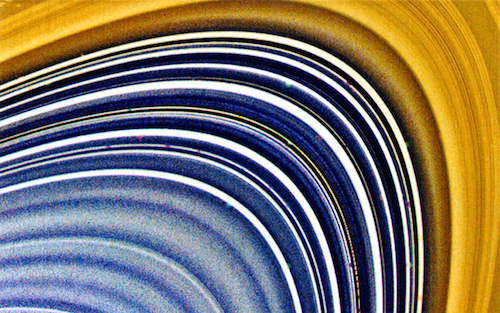 Scientists have ideas about why Saturn has rings, but no one knows for sure. Are they solid like the CD you used to make your model? Or are they made of many particles dancing in formation around the planet? 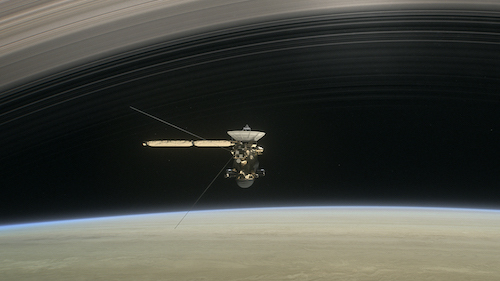 Four robotic spacecraft from Earth have visited Saturn—Pioneer 11, Voyager 1, Voyager 2 and Cassini. They have revealed many surprising things about Saturn's rings. The rings are about 400,000 kilometers (240,000 miles) wide. That's the distance from the Earth to the Moon! But the rings are as little as 100 meters (330 feet) thick. They range from particles too tiny to see to "particles" the size of a bus. Scientists think they are icy snowballs or ice covered rocks. There are actually many rings—maybe 500 to 1000. There are also gaps in the rings. 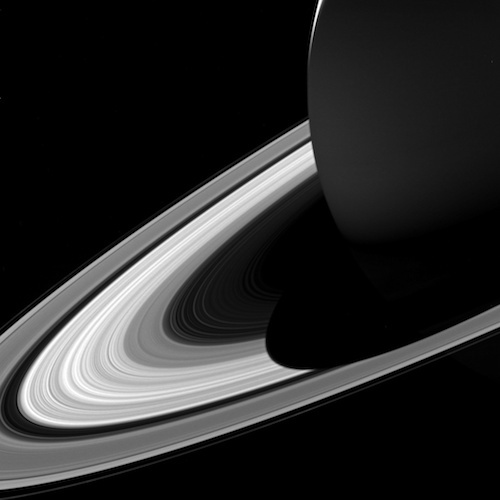 The Cassini spacecraft arrived at Saturn in July 2004. 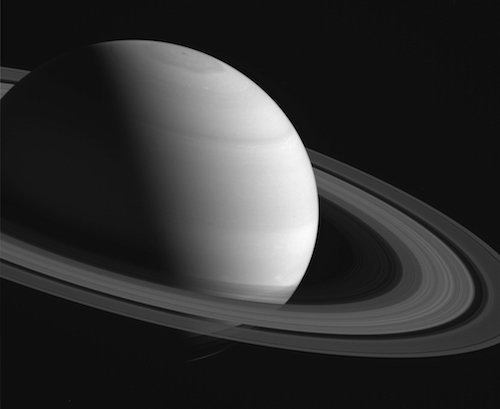 It orbited Saturn for 13 years, studying Saturn, its rings, and its moons much more thoroughly than the earlier spacecraft could. Cassini also carried a probe, called Huygens (HOY-guns), that parachuted into the atmosphere of Saturn's giant moon Titan. Huygens sent back amazing information and images from this strange world whose surface we have never seen. Cassini and Huygens made many exciting discoveries. In September 2017, Cassini ended its mission with a planned plunge into Saturn's atmosphere. This series of photos was taken by the Hubble Space Telescope from 1996 through 2000. 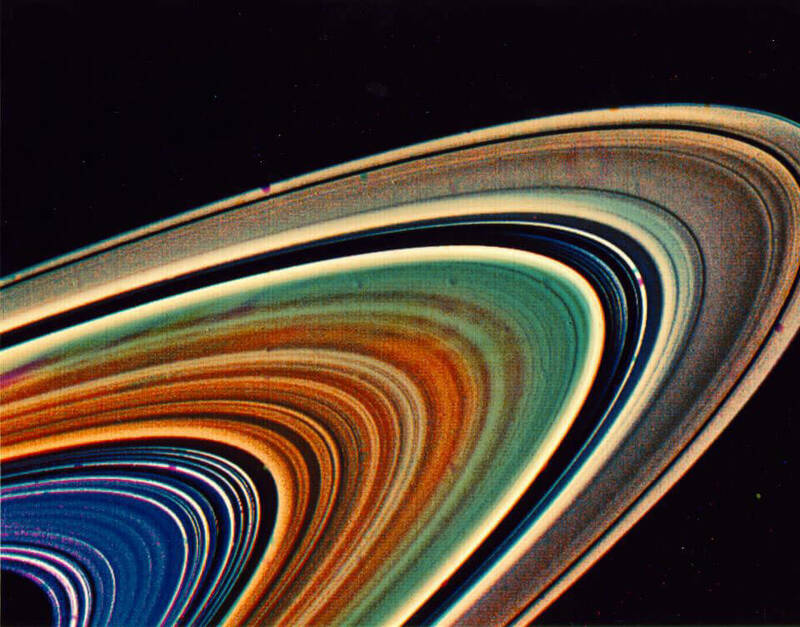 You can see how Saturn's rings seem to change, but it is only because our angle of view changes.